The other half of the team, Patty brings expertise in assisting me with all aspects of the home inspection and running the business. Patty is very knowledgeable in the mechanical workings of the home inside and out. Patty brings the refined touch to managing the repair portion of the business. With a team like this you are in good hands and working with people that not only know what they are doing but care about you and your home. 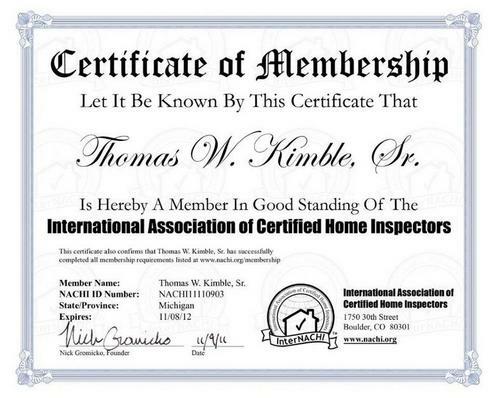 I hold a power plant engineers license and I am a certified professional home inspector. I also work as a professional maintenance supervisor and real estate property manager for a large financial institution. And, I spent many years in the excavating field installing sewage disposal systems, water lines, roads, and many other types of excavating projects. Working in all these fields, and my many years of experience, makes it possible for me to offer what I consider a valuable source of information to assist you in your property inspection and maintenance needs. So for either an inspection or a maintenance problem give us a call and we will assist you with professional certified assistance. CPH Inspections LLC is family-owned and operated right here in Flushing Michigan serving the State of Michigan with home inspections and maintenance solutions. We work with the property owner, and buyer, helping to insure a fair and equitable transfer from seller to buyer. We look for and report conditions that can help both seller and buyer decide what should be done to make the home a good environment before and after the sale. We offer inspections to the potential seller prior to listing their home so they can address areas of concern that would turn away a potential buyer.